The monies raised from this year’s event will be split between the regional charity of Hand in Hand for Haiti and WiTR’s global charity for 2019 of Friends International. A number of women attending have requested to speak and we should have an interesting and lively event. Port Canaveral and Carnival Cruise Line this week broke ground on a new $163 million cruise terminal complex, the largest in the Port’s 65-year history. The new terminal will be the home of the new Carnival Mardi Gras from mid-2020 onward. Mardi Gras is the first LNG powered cruise ship in North America – and will herald a new era of clean cruising. Page 1. The Mardi Gras will join three other Carnival cruise ships that homeport in Canaveral. The shop concessions onboard all three are handled by Heinemann Americas. 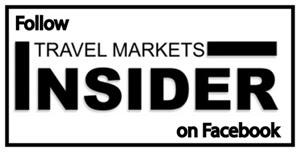 See a full story on Heinemann’s new flagship cruise shops onboard the Carnival Liberty in this month’s special Travel Markets Insider magazine, available at the Summit of the Americas in Orlando. In welcome news to many, Brazil has ended visa requirements for citizens of the U.S., Canada, Japan and Australia, as of June 17. More details on page 1. Dufry posts resilient full year results for 2018. Page 2. Argentina. Four retailers vie for the duty free concession at Rosario International Airport. Page 3. Brazil. AENAS and Zurich win the latest Brazilian airport concessions. Page 3. Canada. A small fire in the Toronto Duty Free shop on Sunday night caused flight cancellations and delays for about 10,000 passengers. Page 3. Unilever sees great potential for Living Proof haircare in travel retail. Page 2. ALFA Brands adds Marie Brizard Wines and Spirits and Butlers Chocolates to its portfolio. Page 2. Duty Free Dynamics unveils new categories and brands with Lego, Aftershokz, Hydroflask and Toms. Page 4. B+D reports solid growth throughout the Americas. Page 4. Be sure to check out Solari Hemp to see how Hemp and CBD might play a part in the future of travel retail. Visit them at Booth #24 at the Duty Free & Travel Retail Summit of the Americas in Orlando next week.